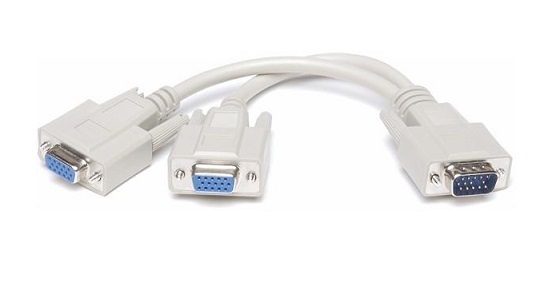 This cable is used to connect two identical VGA monitors to a single VGA port to give the same pictures. It will simultaneously broadcast one VGA signal up to 2 different monitors at the same time. Splitting the monitor signal will allow 1 computer to be viewed on 2 identical computer monitors at the same time or view the screen of a computer/laptop on 2 monitors/projectors at the same time. Suitable for demonstrations, presentation, tests, meetings and exhibitions.